With an immense development programme which, once complete, will see the airport’s terminal size increase by 45%, bridge gates for wide-body aircraft double, the creation of 5,000 permanent jobs and enable the airport to hit the 20 million annual passenger mark by 2020, Helsinki Airport is fast becoming one of Europe’s most important transfer hubs. Finavia CEO, Kari Savolainen, reveals the airport’s plans. Back in 2013, airport operator Finavia launched a nearly €1 billion development programme to strengthen Helsinki Airport’s position as a significant airline hub between Europe and Asia. Helsinki Airport has seen favourable market development in recent years. 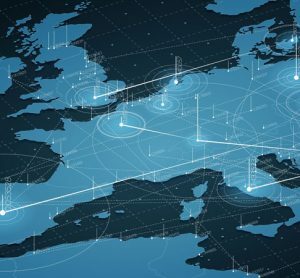 The number of transfer connections has increased by more than 75% within the last 10 years and according to ACI Europe, Helsinki offers the best transfer connections from Nordic countries to various parts of the world. 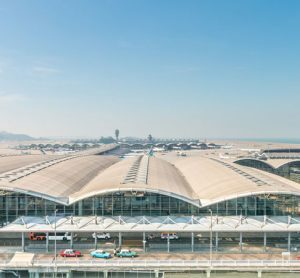 The development can also be seen in passenger volumes, with the airport’s annual passenger number exceeding 17 million for the first time in 2016. Since the launch of the development programme, Helsinki Airport has already seen many improvements. There is more self-service capacity in the departure hall, e-gates and other digital services at the gate area, more parking spaces and completely renewed commercial service offer in the terminal, to name a few examples. In addition, thousands of hours of preparatory work, such as demolition of old buildings and rock mining, has been done at the airport’s apron area, and new facilities and areas have been built. But the best and biggest is yet to come. During the next few years Helsinki Airport will be even more visibly improved and following an extension will see terminal size increase by an impressive 45%. The terminal extension will enable the airport to serve 20 million yearly passengers by 2020. Our strengths, such as short distances, short transfer times, friendly staff and a world-class service level will be maintained and enhanced and all services will remain under one roof and easily accessible. Finavia has laid out a staged approach to the development programme which will enable Helsinki Airport to manage possible risks and react to market changes in a flexible manner. The current phase consists of the terminal extension. The first new terminal wing, so called south wing, is estimated to be completed during late summer 2017. Construction has now also begun on the airport’s new west wing. Its first part to be built is the large central plaza, which is scheduled to open in late 2018. The central plaza alone will bring 25,000m2 of new passenger and baggage facilities to the airport. The central plaza, used by departing and arriving long-haul passengers, will be the heart of the terminal expansion. Modern security control, shops, restaurants and new services, will be located around the plaza. As an architectonic space it will be impressive, and very Finnish. Finavia wants to not only provide Helsinki Airport passengers a smooth and pleasant customer experience, but also create new experiences. The airport’s aim is to establish a setting for an unforgettable and significant travel experience. We want our passengers to want to come back to Helsinki Airport, recommend us to their friends and maybe have a stay in Finland during their next trip. Helsinki Airport already has, for example, a roofless outdoor terrace, where transfer passengers can experience a snow storm or have a breath of fresh air between flights. One can enjoy a photography exhibition or pick a book from the airport’s Book Swap station. Tired passengers can take a nap in the Finnish GoSleep pod or relax in the most Finnish place possible – a sauna. What passengers are to experience in the new central plaza remains to be seen. The development programme’s later stages include plans to expand Terminal 2 to the area currently used for parking and public transport. 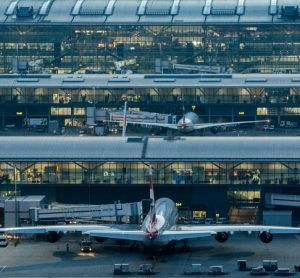 This would provide more space for check-in, security control and baggage operations, allowing the airport to concentrate all departure and arrival services to a single terminal. Altogether the development programme will expand the current terminal by over 100,000m2. The apron area will be renovated over an area of 330,000m2 – the size of 65 football pitches. The number of bridge gates for wide-body aircraft will be doubled from eight to 16 and baggage handling capacity will increase by 50%. Both environmental and social responsibility issues have been taken into account throughout the development programme. Helsinki’s aim is to provide safe and economic operation of airports and smooth air traffic that affects the environment as little as possible. We have, for example, reduced emissions by optimising the heating system and air conditioning of buildings, installing geothermal systems and renewing lighting systems. Emissions have reduced in recent years so much that Helsinki Airport and six airports in Lapland were admitted to the ACI’s Airport Carbon Accreditation programme. In addition, Helsinki Airport is among the greenest airports in Europe when it comes to landings, with 60% of landings at Helsinki Airport employing the Continuous Descent Approach that is green landings. Green landings result in savings in fuel, reduced CO2 emissions and reduced aircraft noise. The employment impact of Finavia’s development programme is 14,000 person-years. The programme will create roughly 5,000 new permanent jobs at the airport. The ground rule is that for every one million new passengers there will be 1,000 new jobs at Helsinki Airport. At the moment, Helsinki Airport employs some 20,000 people in more than 1,500 companies. Helsinki Airport has become one of the key air traffic hubs in Europe, especially for air traffic between Europe and Asia. It is ideally located, providing the fastest and shortest route between the continents. In addition, it is among the biggest airports in Europe when measured by the amount of flights to Asia. Helsinki already offers the most routes to Japan of any European airport and for routes to China Helsinki is among the top five – Asia is certainly Helsinki’s biggest source of growth. China is also in sharp focus. In recent years Helsinki Airport has seen an increase in the number of Chinese passengers: between 2014 and 2015 the increase was an impressive 50%. Between 2015 and 2016 there was a steady 7.5% growth and this is expected to continue. Since many Chinese passengers are travelling for the first time and don’t speak any English, we have developed various services especially for them, doing our best in making them feel as welcome and comfortable as possible. Finavia has, for example, launched a successful Chinese-speaking guide service to Helsinki Airport, enabling Chinese passengers to receive personal service in their native language in matters such as how to navigate at the airport, where to find the departure gate, where to buy Finnish souvenirs and what payment methods to use. In addition, Finavia has increased the amount of Chinese signs in the terminal and Helsinki Airport’s presence in Chinese social media. Last year Finavia launched a staff exchange programme with Beijing Airport, resulting in deeper understanding of Chinese service culture and needs of Chinese passengers. First shops at Helsinki Airport now accept AliPay as a payment method, making Helsinki Airport one of the first European airports to accept AliPay. China UnionPay is accepted almost all around the airport. Year 2016 was a record-breaking year for Finavia in many ways. Not only did the Helsinki Airport development programme take a big leap forward with the beginning of terminal expansion, but also passenger volumes rose to the all-time-high and Lapland experienced the busiest winter season of the decade. Helsinki Airport reached 17.2 million passengers for the first time and Finavia’s Lapland airports reached a record as well, thanks to over 500 charter flights and nearly 50 route flights in December 2016 alone. Lapland has become a very popular destination not only among the Chinese, but also other passenger groups. This winter season has been the busiest for us since 2007. Various airlines, such as Lufthansa, Germania, Monarch and Norwegian, launched direct flights from Europe to Lapland, increasing Lapland’s attractiveness and accessibility to a whole new level. One of the most important strategic events for Finavia last year was Qatar Airways launching its operations at Helsinki Airport. Last year’s development and record numbers confirm that Finavia’s game is strong. Finland is a very hot topic around the world right now with Forbes and National Geographic listing the country as one of the must-see destinations of 2017. This is naturally great news for Finavia and we cannot wait to welcome new tourists to visit us. 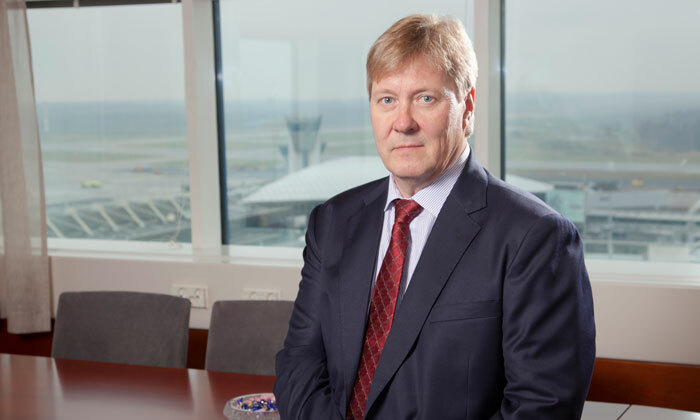 KARI SAVOLAINEN has been the CEO of Finavia Corporation, which operates 21 airports in Finland, including Helsinki Airport and Lapland airports, since January 2012. He has a strong career background in management, logistics and IT at the logistics and port operator, Steveco Oy, Finnish Post Corporation (Itella), Finnlines Oyj and Kymmene Oy.